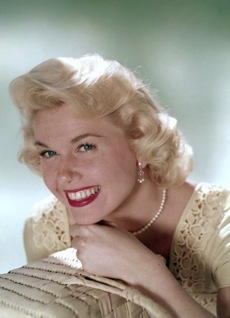 Doris Day has been named recipient of the Los Angeles Film Critics Association's 2011 Career Achievement Award, the critics group announced on Saturday. "Decades on from the main body of her work, Doris Day is still arguably the template to which Hollywood turns when trying to quantify and capture ‘girl-next-door’ appeal,” said LAFCA president Brent Simon in a release announcing the honor. “Equally at home in snappish romantic comedies and more dramatic fare, Day was the biggest female star of the 1960s, giving a series of delightfully perceptive performances." Day's has often been a subject of speculation when the Academy meets to choose its honorary Oscar winners, though she has a long-running and well-known reluctance to attend ceremonies. The association also announced that it will vote for the winners of its 2011 awards on Sunday, Dec. 11. While the New York Film Critics Circle, which usually chooses its winners the day after the Los Angeles critics, decided to move its voting into November, LAFCA opted not to change its voting date. 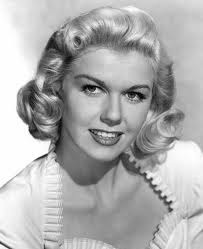 "Still one of the top box office performers of all time, Doris Day starred onscreen alongside some of the biggest male stars of her day, including Clark Gable, James Stewart, Cary Grant, Jack Lemmon, David Niven and of course Rock Hudson. Her screen credits include 'Calamity Jane,' 'The Man Who Knew Too Much,' 'The Tunnel of Love,' 'Pillow Talk,' 'Lover Come Back' and 'That Touch of Mink.' Her career as a singer was just as impressive; indeed, Day received a Grammy Lifetime Achievement award in 2008. She released more than two dozen albums, experiencing Billboard chart success and in 1957 winning an Academy Award for Best Original Song for 'Que Sera Sera,' which would become her signature tune. A passionate animal rights activist for several decades, Day just this year released an album of jazz standards and cover tunes produced by her late son, Terry Melcher, her first new material in more than four decades. "Founded in 1975, The Los Angeles Film Critics Association (LAFCA) is comprised of Los Angeles-based, professional film critics working in the Los Angeles print and electronic media. Each December, LAFCA members vote on the year’s Achievement Awards, honoring screen excellence on both sides of the camera. Plaques of recognition are then presented to winners during LAFCA’s annual awards ceremony, held in mid-January.